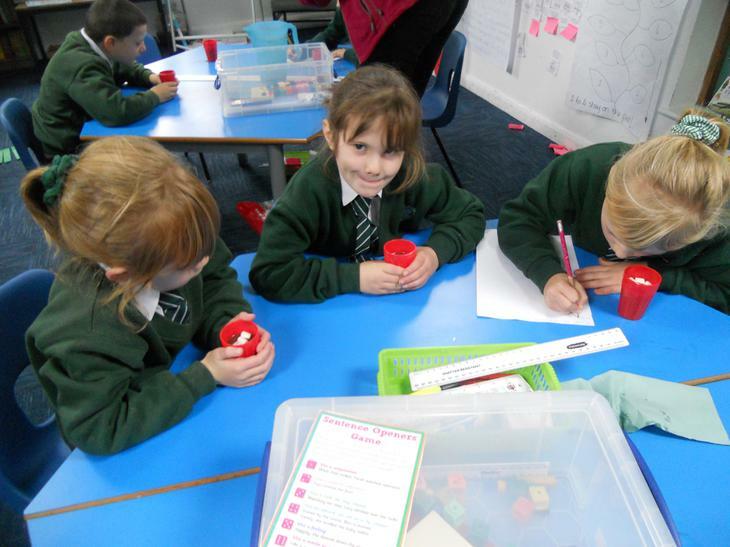 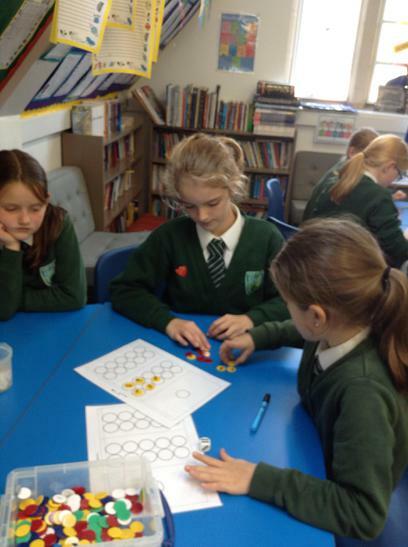 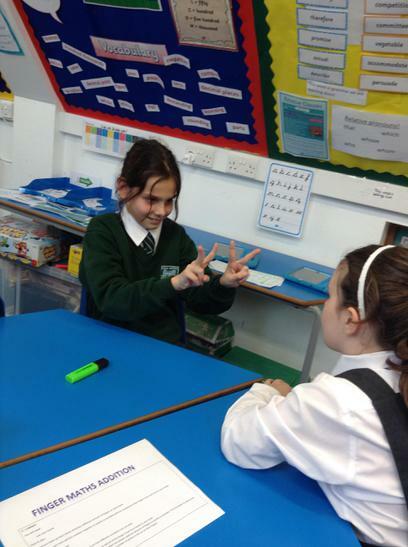 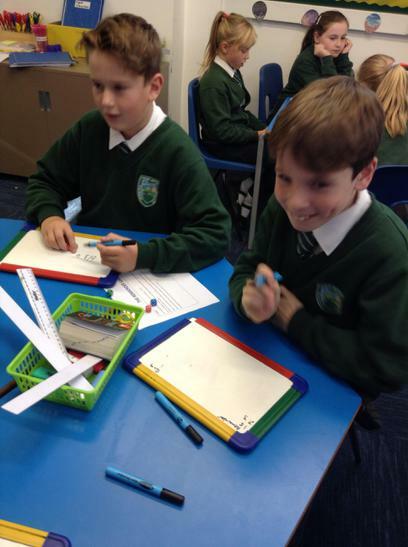 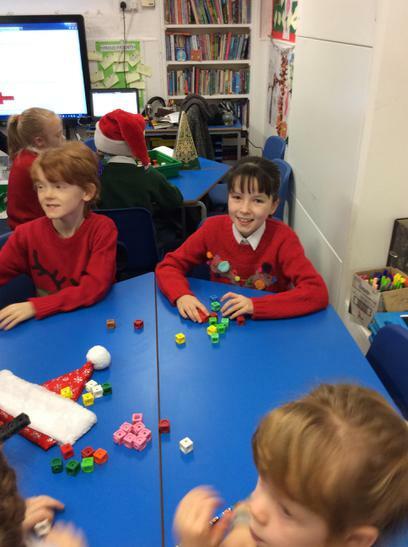 On our Christmas Maths morning, we had four different maths activities to have a go at. 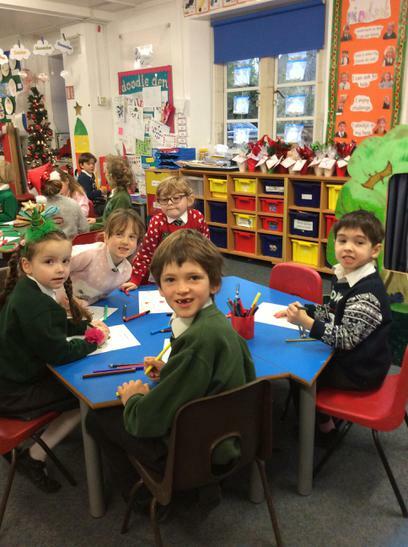 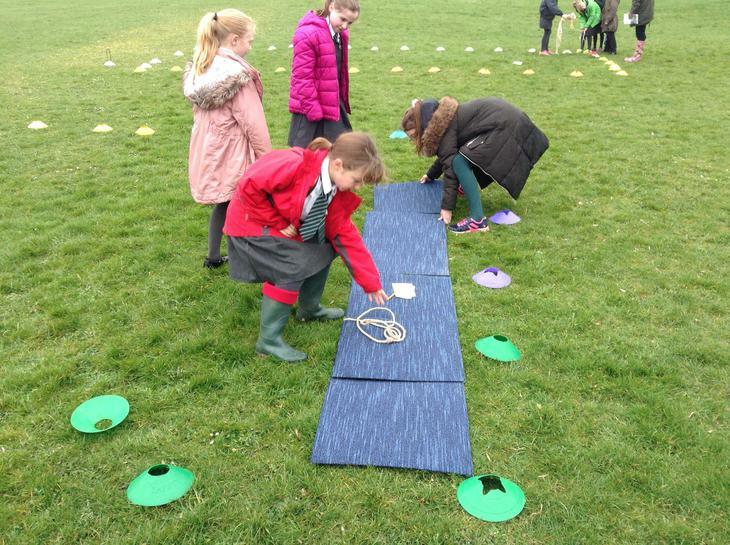 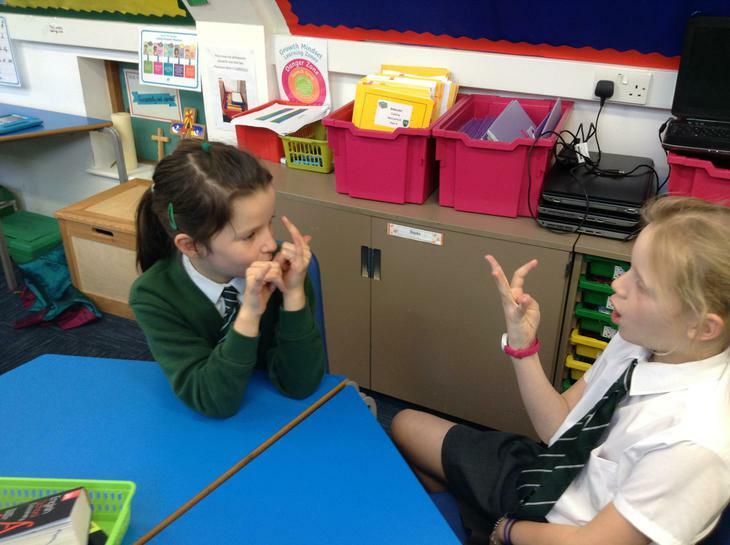 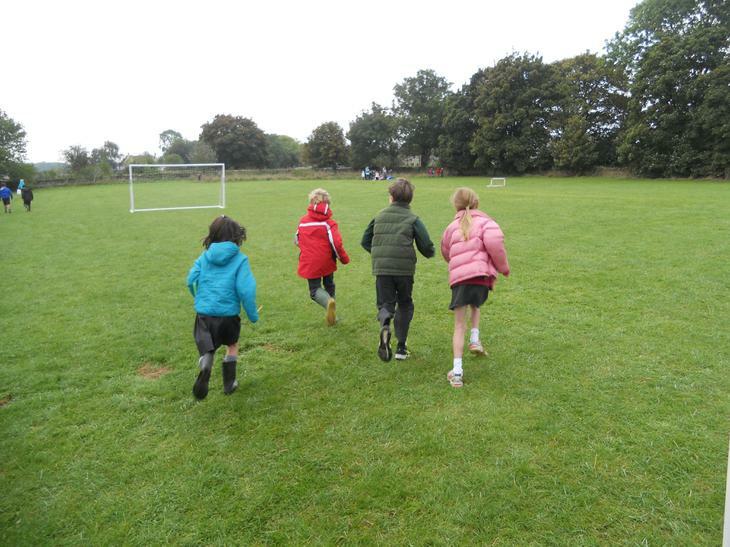 We were mixed up with children from different classes to do our activities. 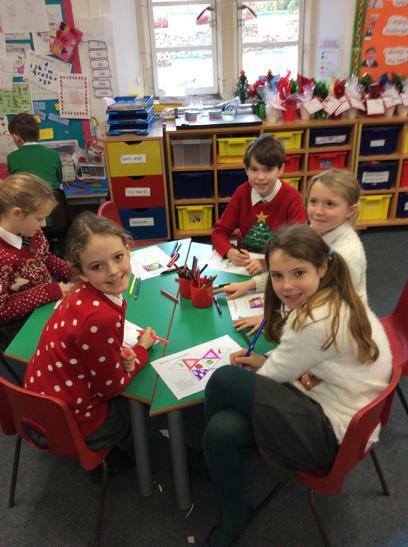 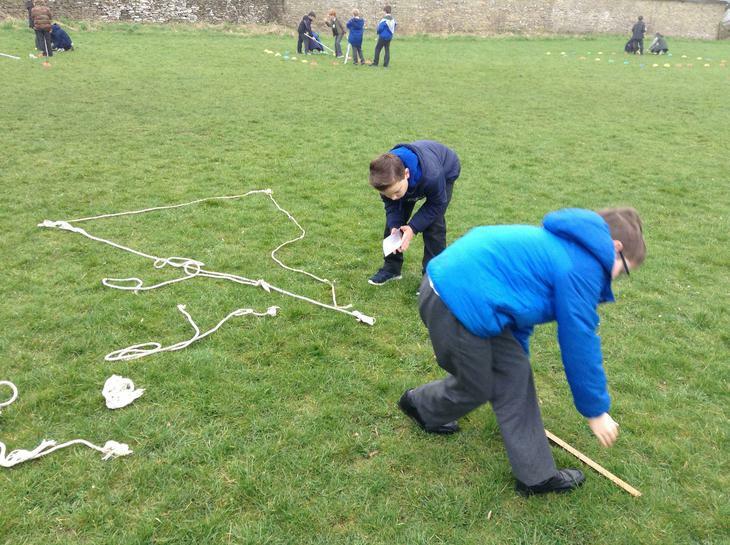 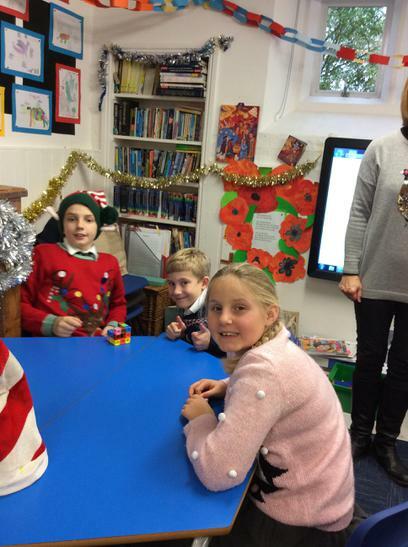 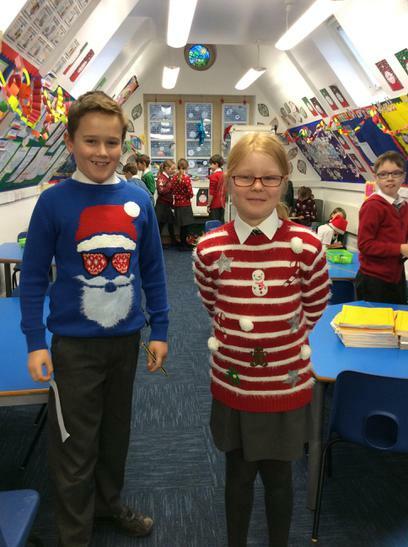 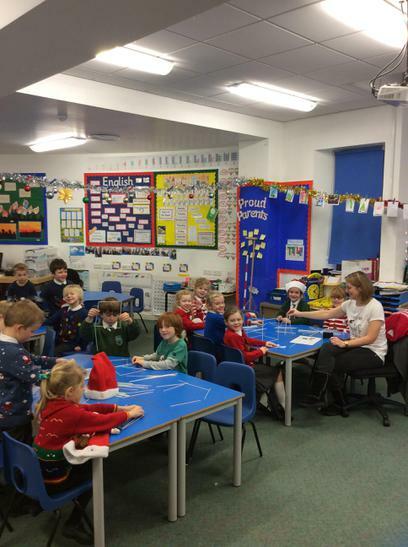 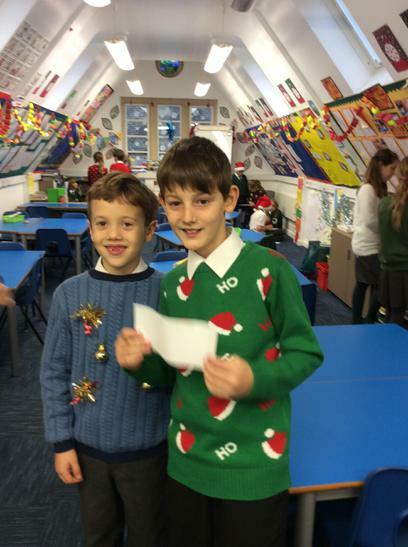 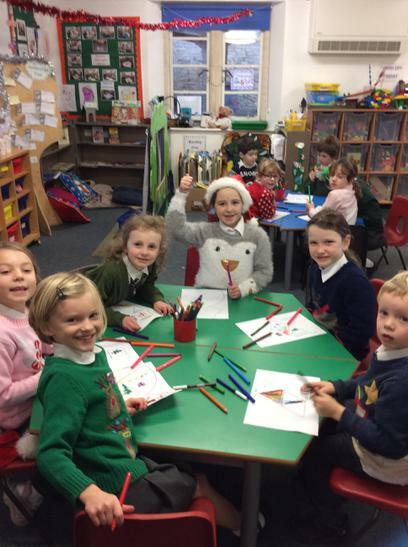 The activities included making Christmas nets to create a decoration, wrapping gifts using shape nets, constructing 3D Christmas shapes and cracking a Christmas code. 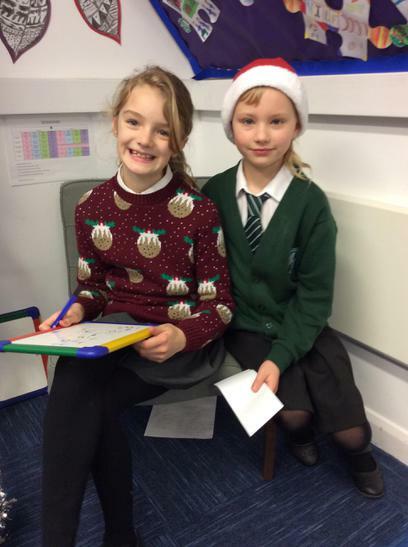 Have a look at some of our pictures from the day! 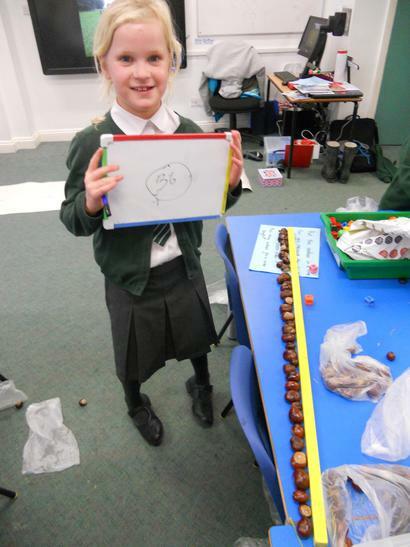 In the weeks leading up to our 'Conker Maths Day' we collected as many conkers as we could. 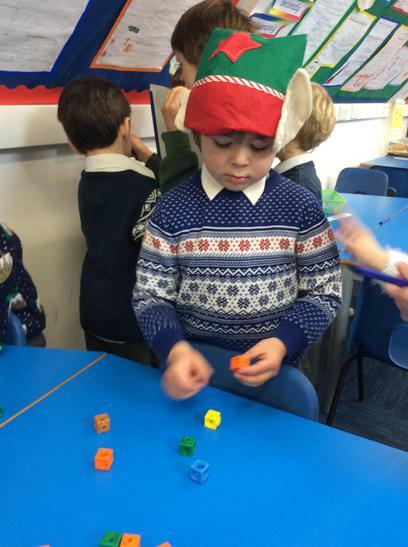 By the time the day arrived, each class had boxes brimming full! 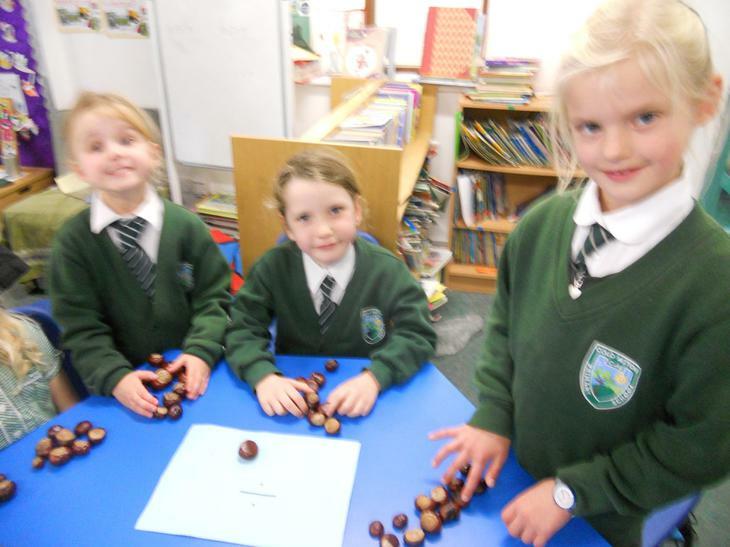 We wanted to find out how many conkers we had collected in total. 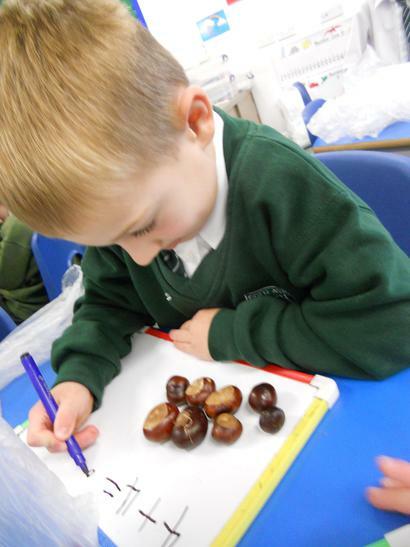 First we estimated how many conkers we thought there were altogether. 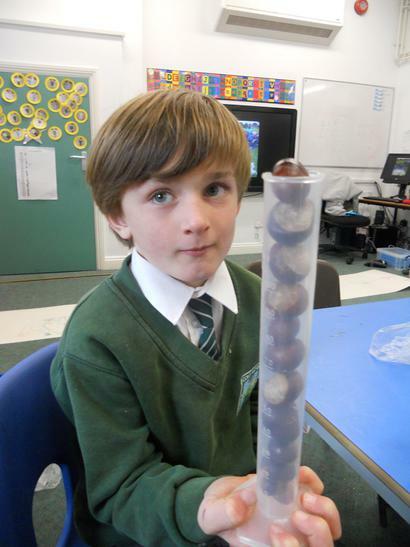 We all thought of different amounts from big to small. 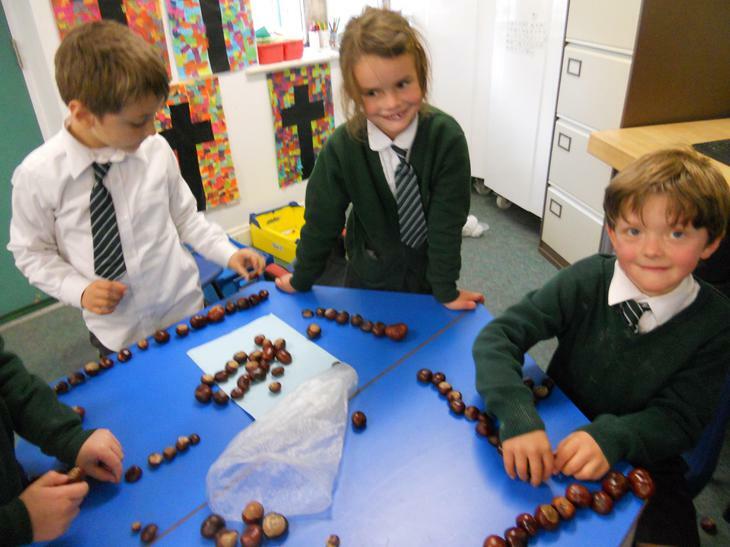 We decided counting each individual conker would take too long and may be inaccurate. 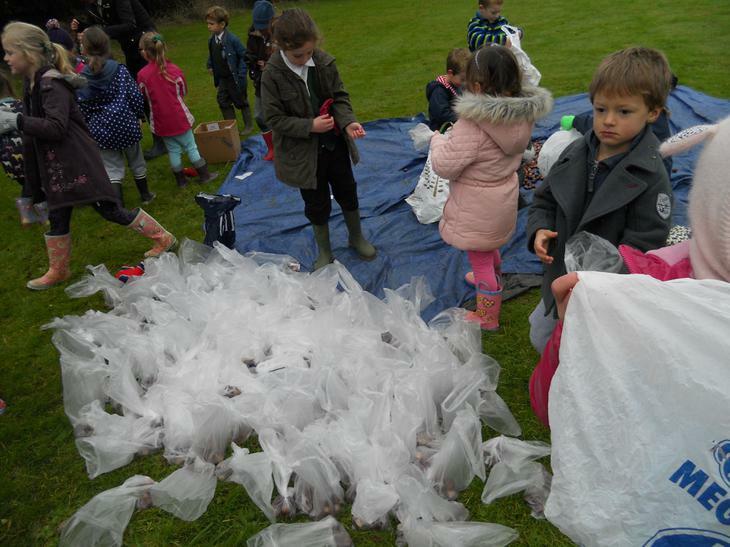 Instead, we grouped the conkers into bags of 10. 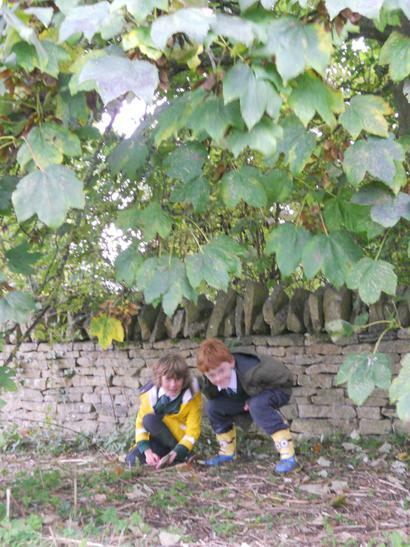 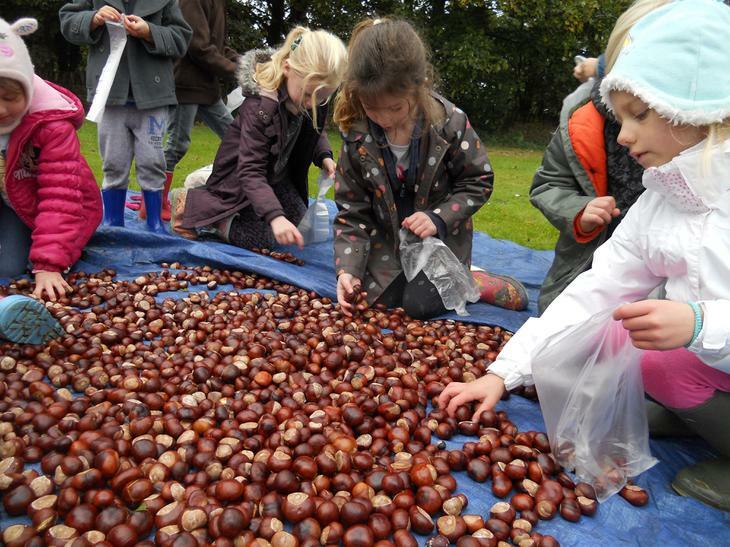 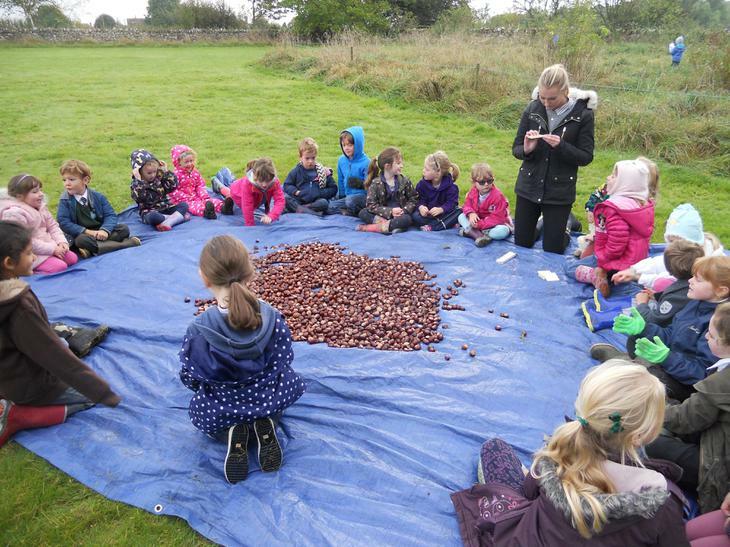 Once we had bagged all the conkers we then grouped them again into groups of 100. 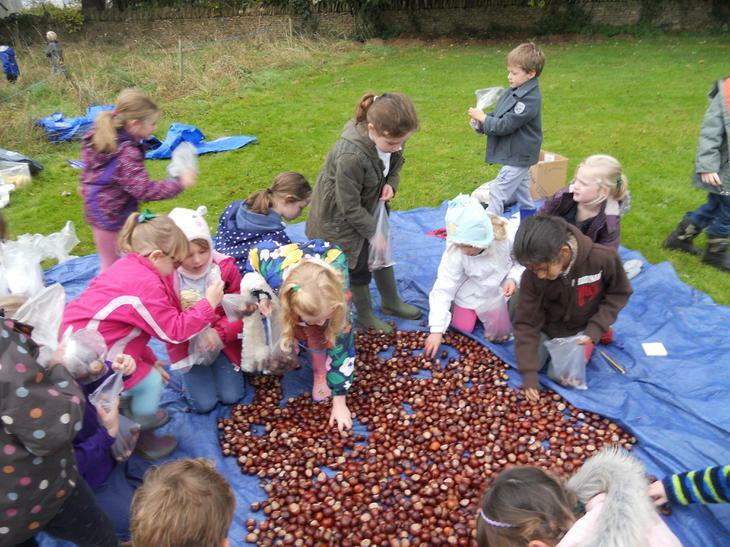 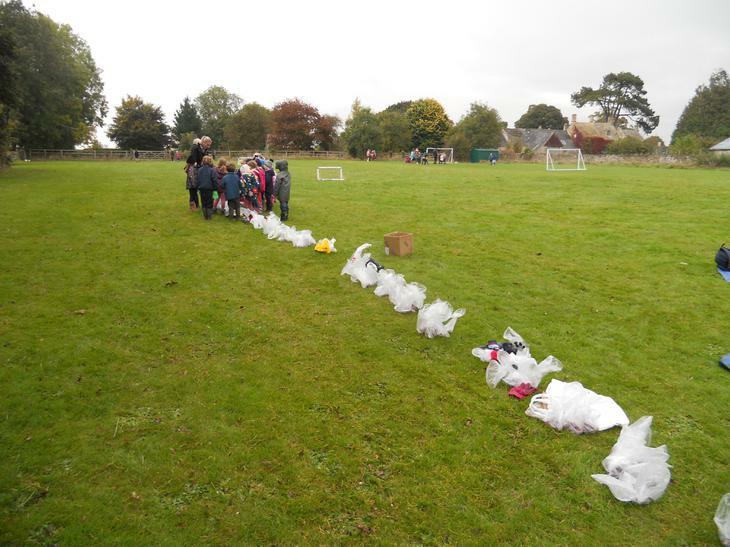 To do this we had to make sure there were 10 bags of 10 conkers in each group. 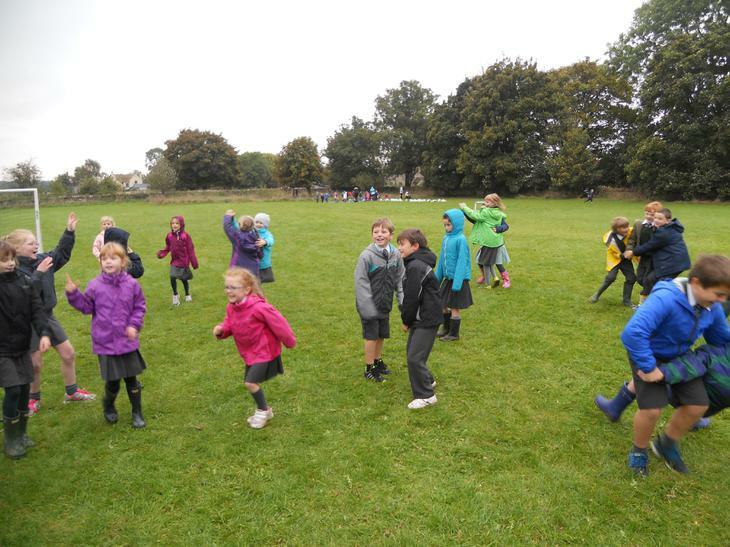 We put our groups of 100 into a line and walked along counting in hundreds, a bit like a numberline. 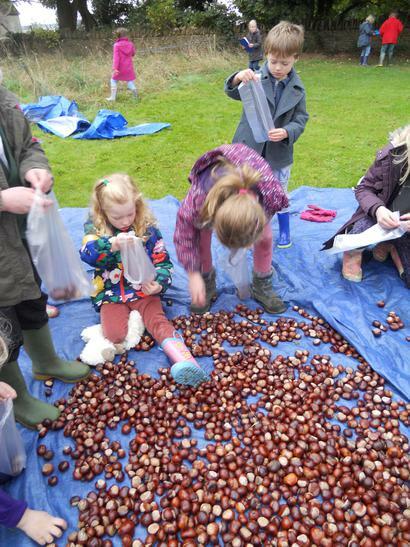 We had some bags of conkers, as well as some that didn't make a bag of 10, left over. 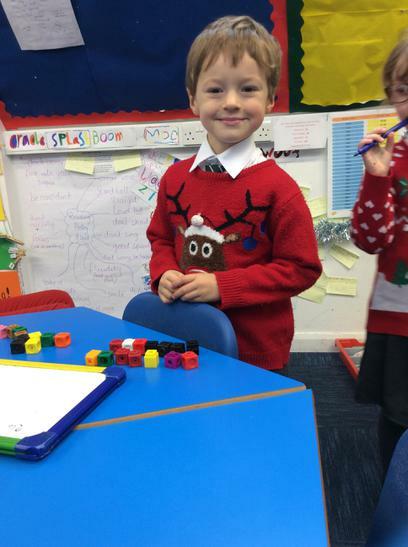 We added these to our final total. 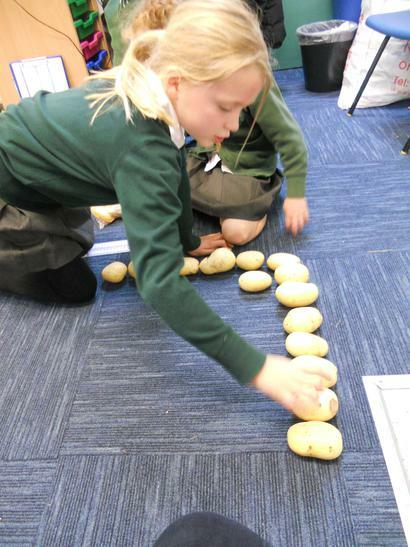 Back in class, we looked at our estimations and put them onto a numberline to help us visualize whose estimate was the nearest and whose was the furthest. 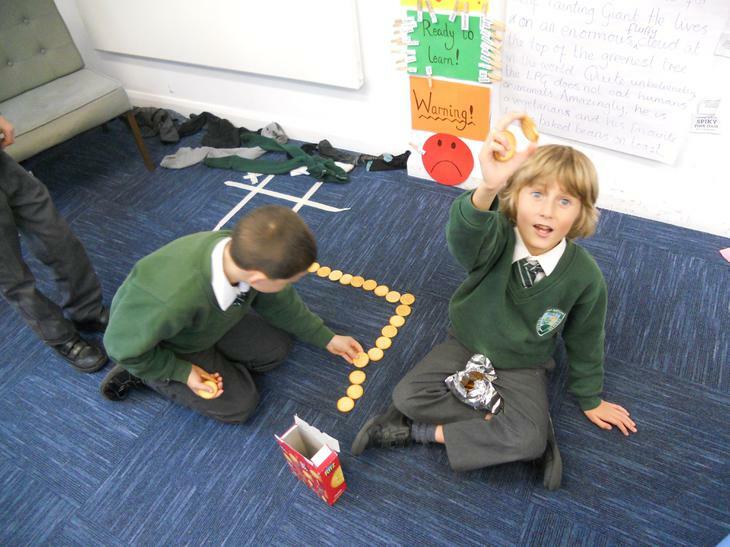 Our first challenge on Number Day was linked to our Harvest theme of trees. 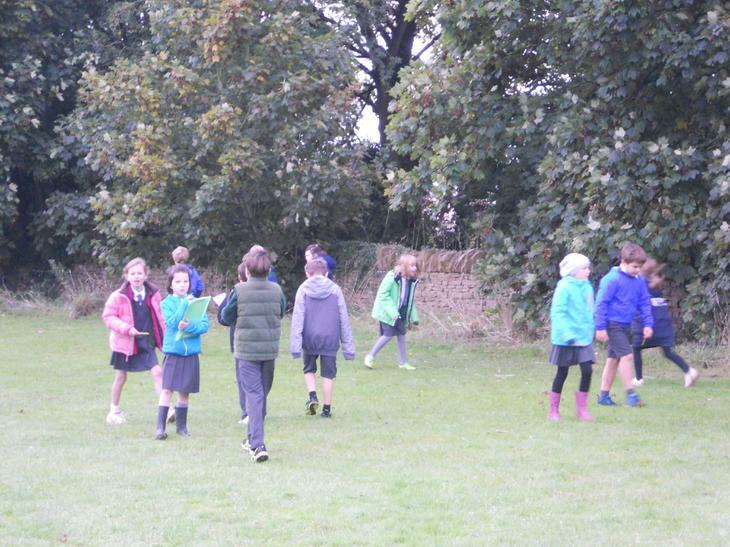 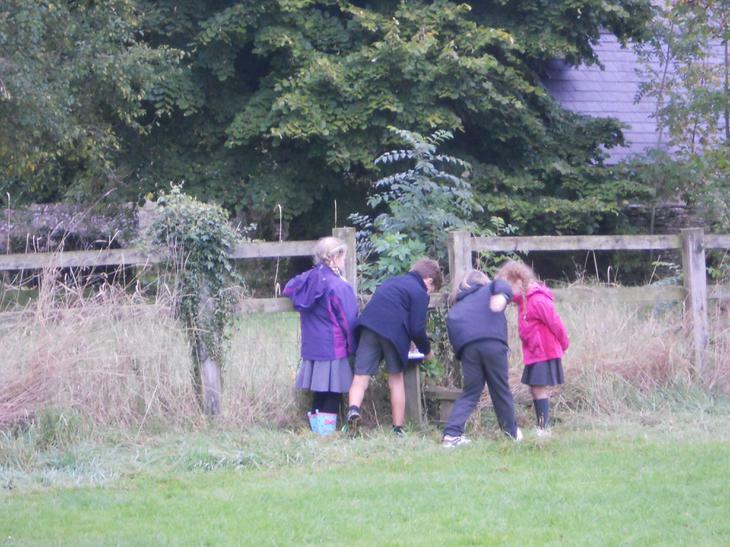 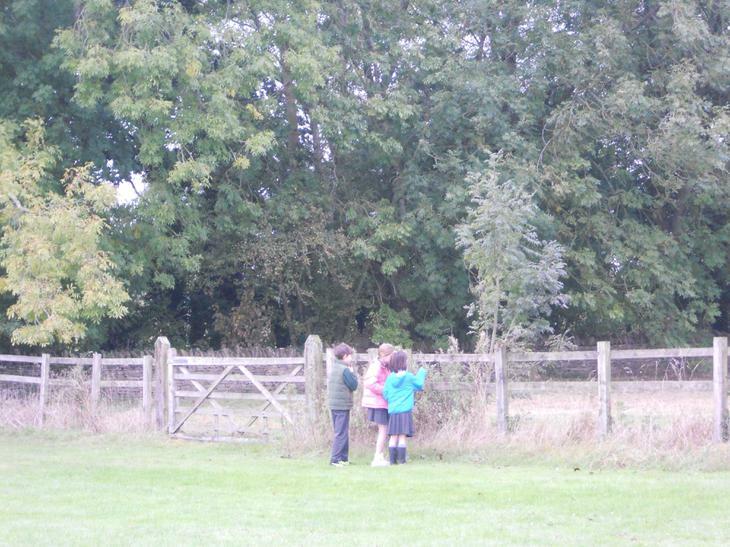 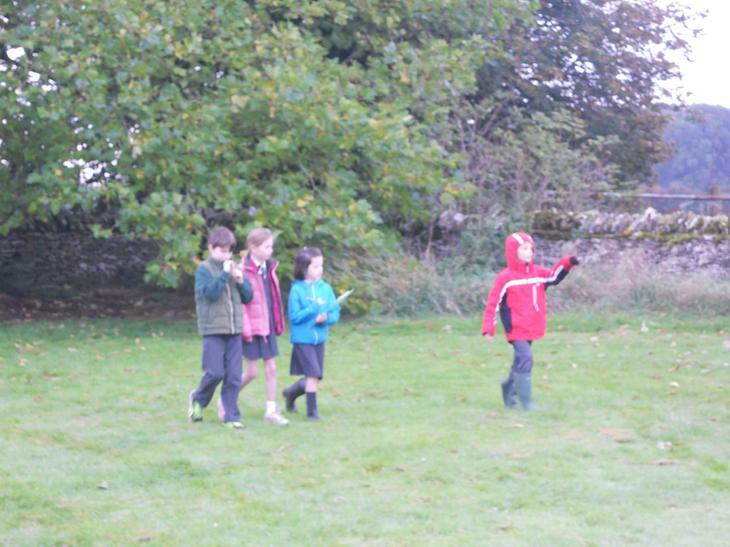 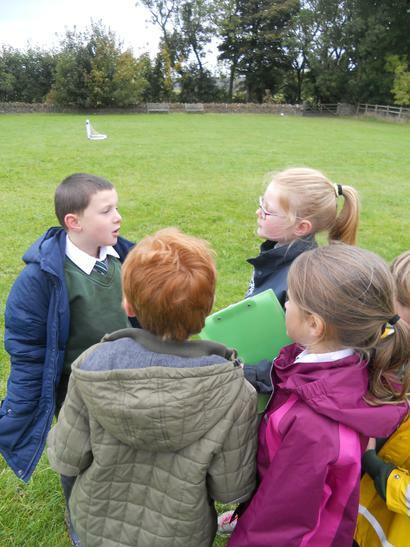 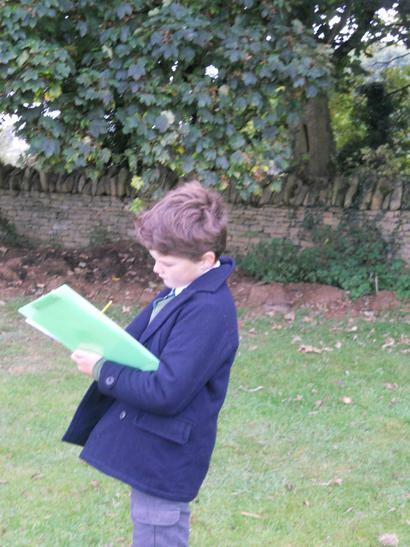 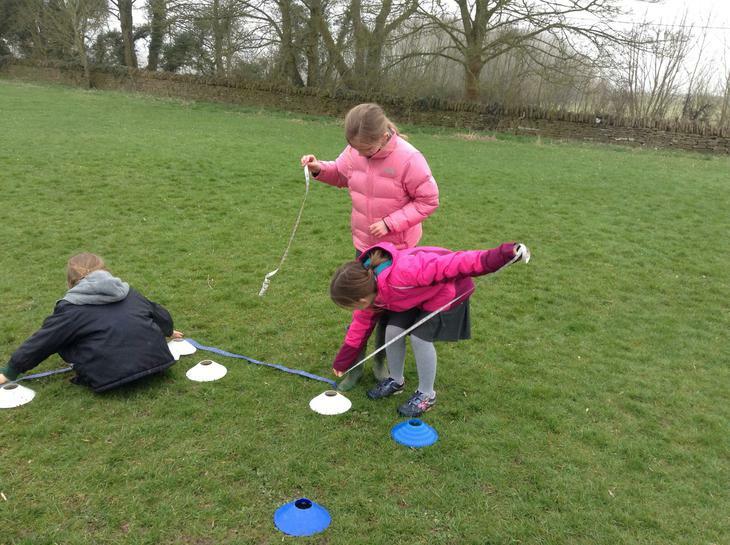 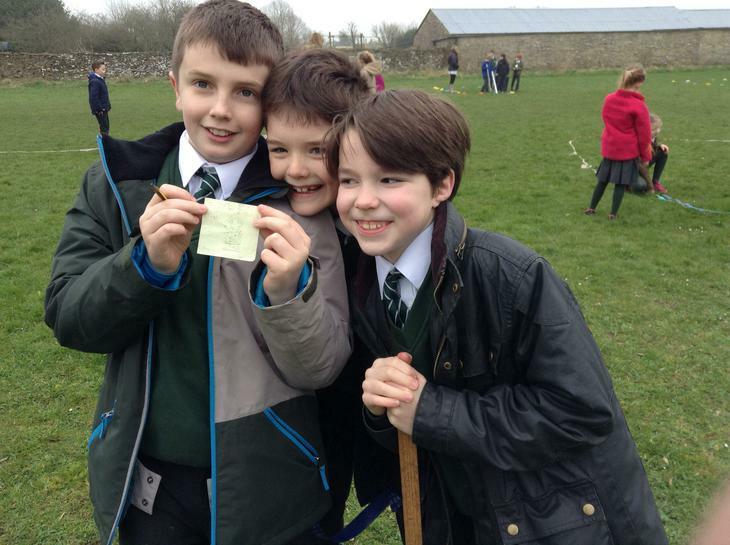 Class 3 were set the challenge of finding out about the trees at the school field. 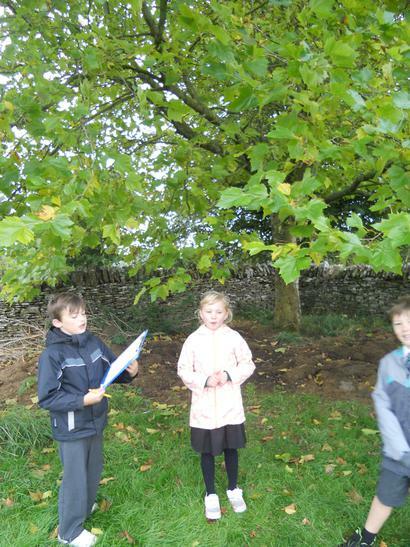 We wanted to find out how many trees there are in total. 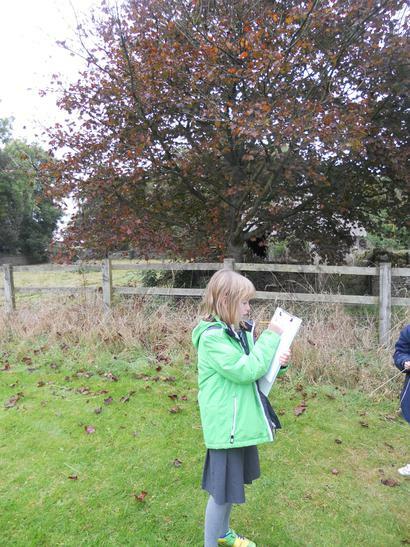 Then work out how we could estimate the number of branches. 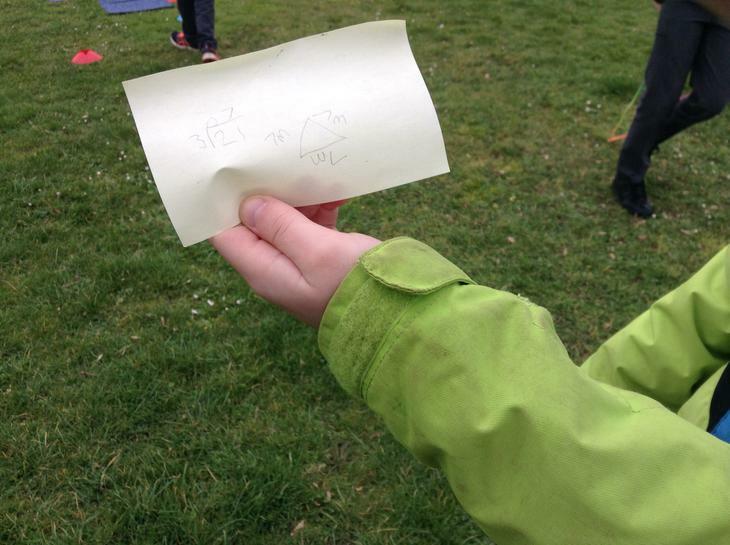 Each team thought of a way to estimate as accurately as possible, then compared our answers. 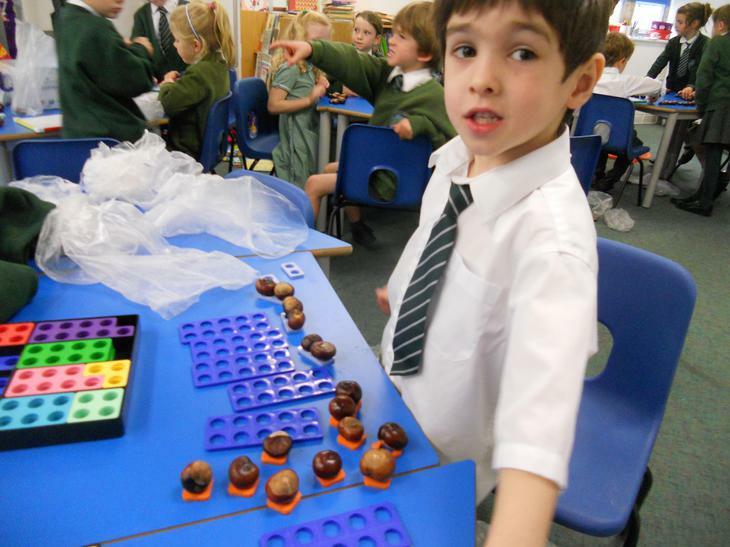 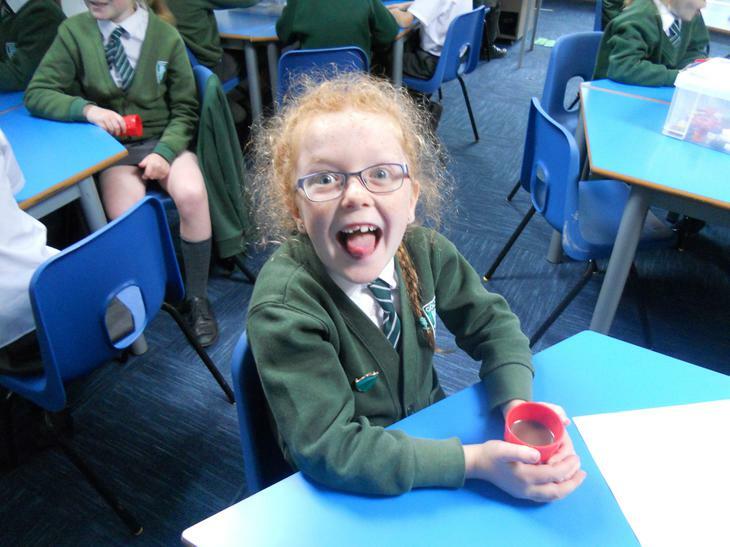 When we got back to school, we had some real life maths to do in order to make a delicious hot chocolate. 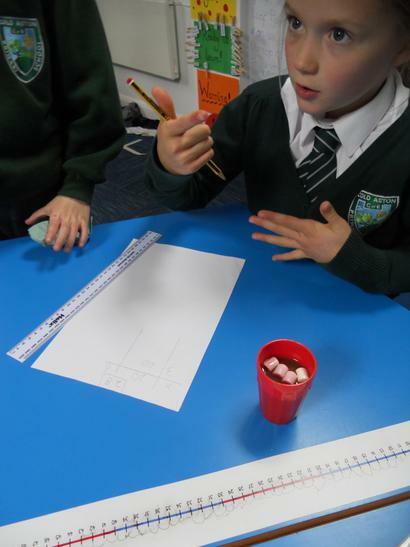 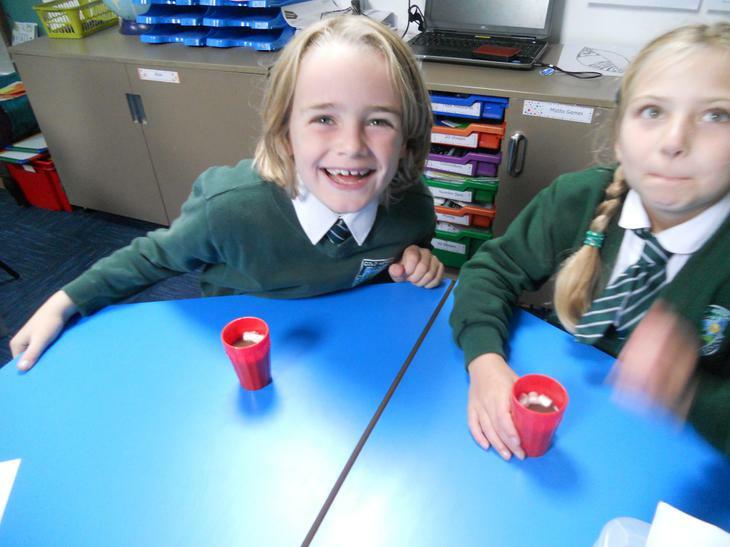 We calculated how many teaspoons of hot chocolate powder and mini marshmallows we would need for one cup, each person on our table, the whole class and the whole school. 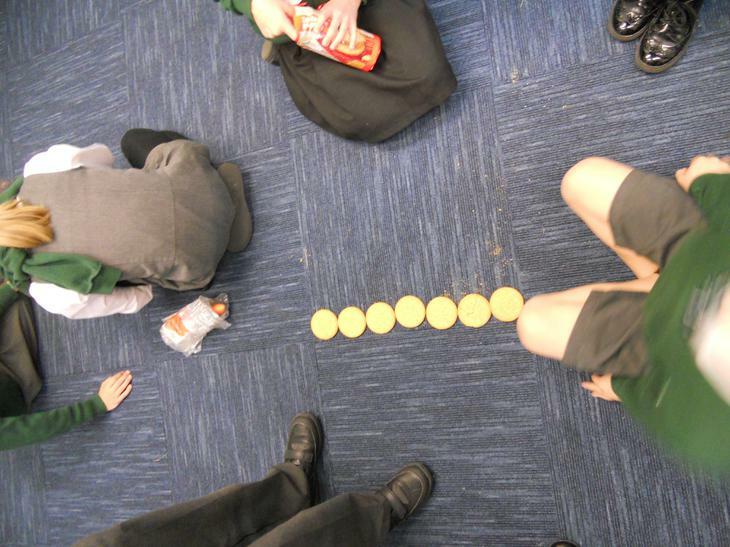 Each group had a different food item (marshmallows, carrots, potatoes, crackers or biscuits) our challenge was to predict how many of each food it would take to cover the floor in Class 3. 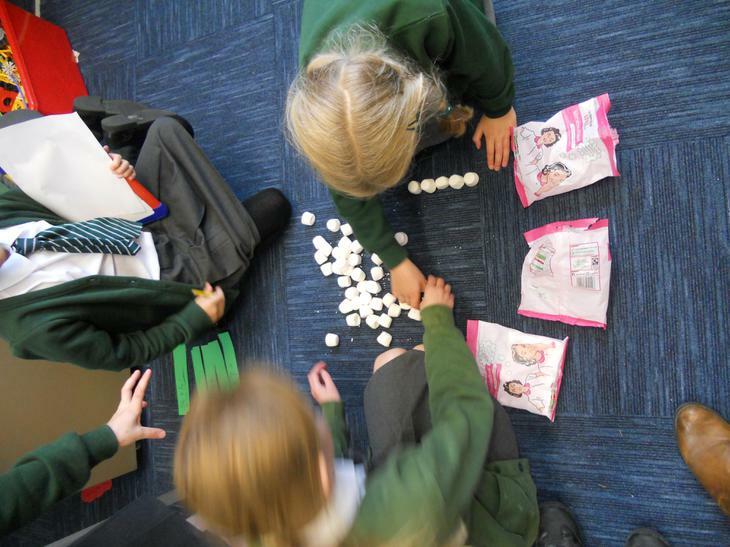 Using our estimation methods we had tried in the morning, each group planned how they would calculate the amount they would need. 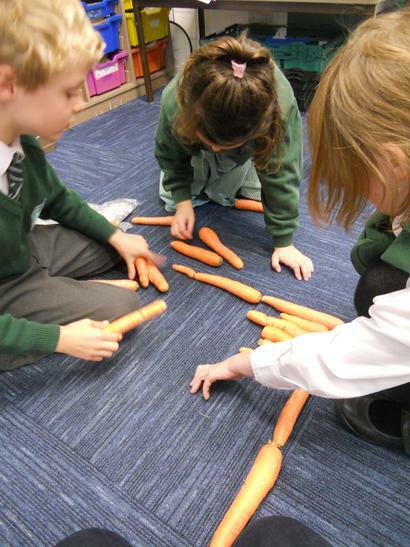 We had lots of fun using the food to cover different areas of the floor in order to estimate how much we would need to cover the whole classroom.